The dismal performance from Royal Challengers Bangalore continued in the Indian Premier League, 2015 when they were beaten in their previous game by Mumbai Indians with a difference of 18 runs. That was the second defeat suffered by RCB in three games and they must be desperate to clinch their next match vs. Chennai Super Kings. The latter tasted their maiden loss of the event when they were crushed by Rajasthan Royals by a huge deficit of eight wickets. However, they are still placed at the second spot with six points from four matches. David Wiese and AB de Villiers scored 47 and 41 runs in the last game vs. Mumbai Indians and rest of the batsmen were dismissed in their twenties. They require big innings from Chris Gayle, Virat Kohli, Manvinder Bisla and Rilee Rossouw. Yuzvendra Chachal and David Wiese have taken 5 and 4 wickets respectively while rest of their bowlers must learn from them. 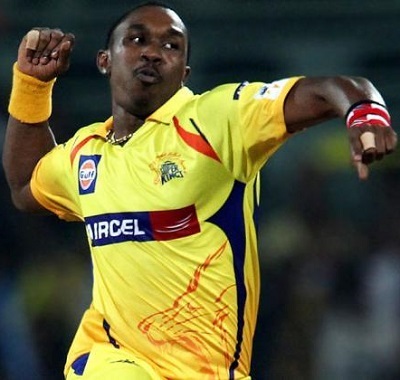 Dwayne Bravo, Dwayne Smith and MS Dhoni contributed 62, 40 and 31 as Brendon McCullum is in good nick. Suresh Raina and Faf du Plessis are not keeping up their promise whereas Bravo, Ashish Nehra, Mohit Sharma, Ishwar Pandey, Ravichandran Ashwin and Ravindra Jadeja are looking after their bowling. Wednesday, April 22, 2015 @ 14:30 GMT, 20:00 local at M Chinnaswamy Stadium, Bangalore. Partly cloudy with the temperatures around 22-35ᵒC. RCB will prefer to field and CSK can opt to bat after winning the toss. The wicket responded equally well for the bowlers and batsmen in the 16th match of the tournament played between RCB and MI. Royal Challengers Bangalore – Virat Kohli (C), Chris Gayle, Dinesh Karthik, Manvinder Bisla, AB de Villiers, Rilee Rossouw, David Wiese, Iqbal Abdulla, Abu Nechim, Yuzvendra Chachal, Varun Aaron. CSK might be the possible winners in the forthcoming encounter. This match will be decided by run fiesta and bowling team who can outsmart opponent's batsmen. Tough asking from bowlers but the history of this ground is not always too bad for bowlers. They have been able to restrict batsmen for below par score on many occasions. Last year CSK restricted RCB to < 160 and chased it down. It all comes down to first innings score to decide this match. 200+ can be safe for team batting first, anything less than that can be any teams game. We will have to wait the toss to see who is batting first and then trade accordingly mainly on batting side. ok wait for my email with Bible. Munna bhai pls providr me your bible too..thank u..
And they have also lost last two game in there home ground so they would surely like to comeback in a strong way..
Till present situation all tips passed..
dontt play blindly on chenna....Rcb koi week team nai hai...so b carefull..my favrt is RCB.. I think RCB will win today match.Starc back. One more double bill, bumper profit after Dhoni's demise. csk ki aaj jam ke thunkai hogi harne ke baad Dhoni bolega ki 10-20 runs kam rah gaye.